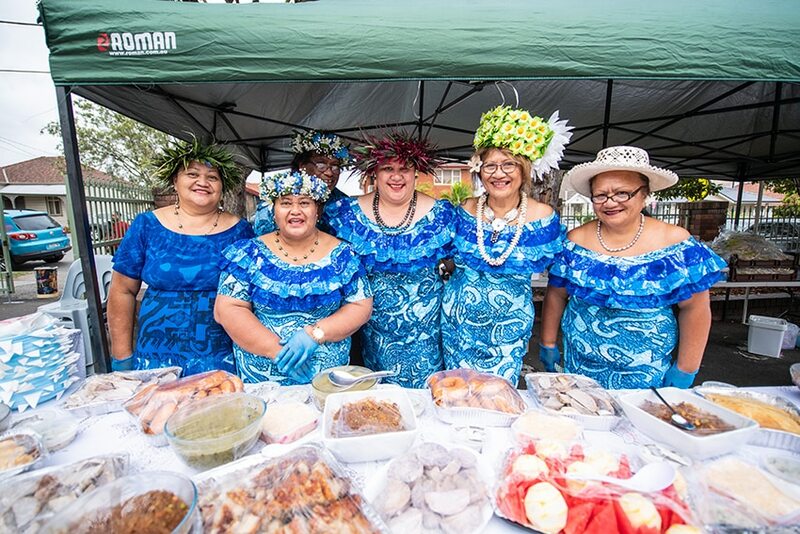 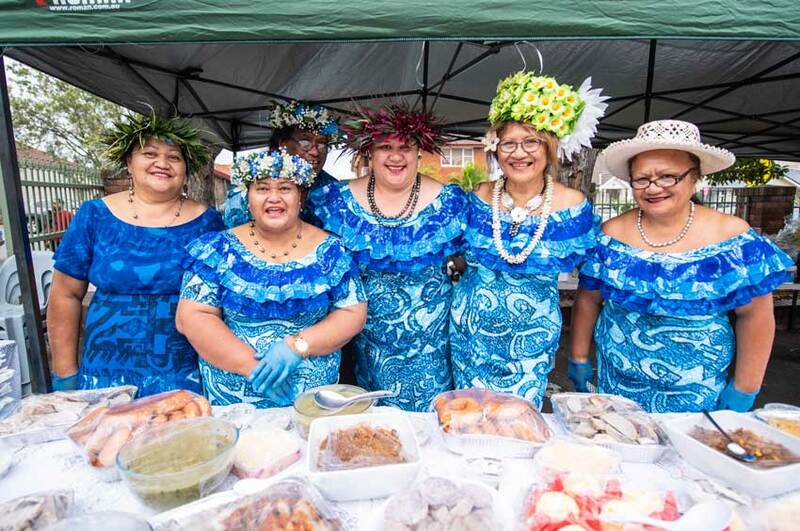 Parishioners prepared a sumptuous feast including traditional foods from Cook Island, Tongan and Lebanese communities to celebrate St Joseph’s centenary. 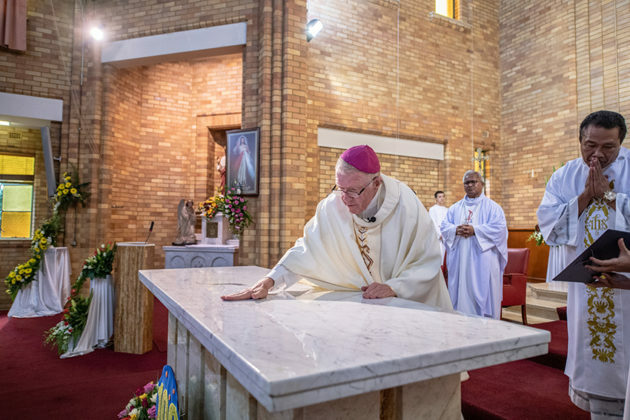 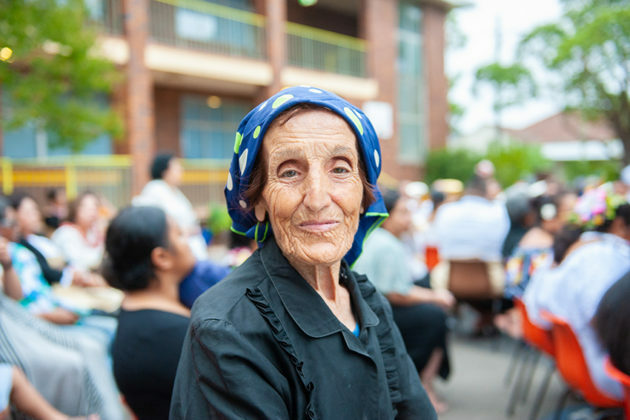 The people of Belmore’s Catholic parish in southwest Sydney sure know how to celebrate, judging by their centenary celebrations last weekend. 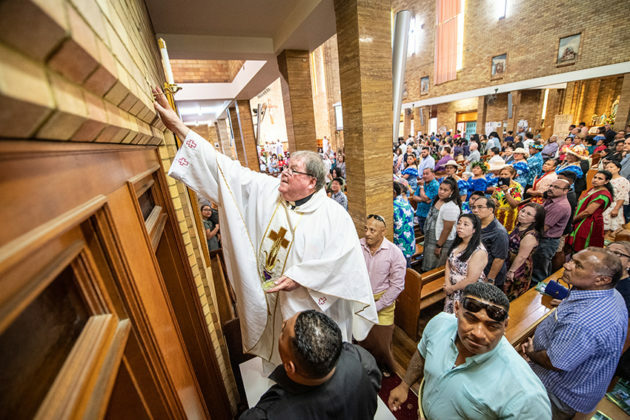 St Joseph’s church was packed for the 19 January evening Mass at which Auxiliary Bishop of Sydney Terry Brady also formally consecrated the sacred building. 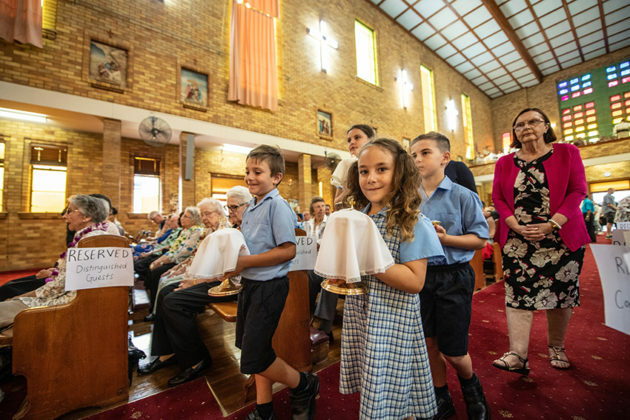 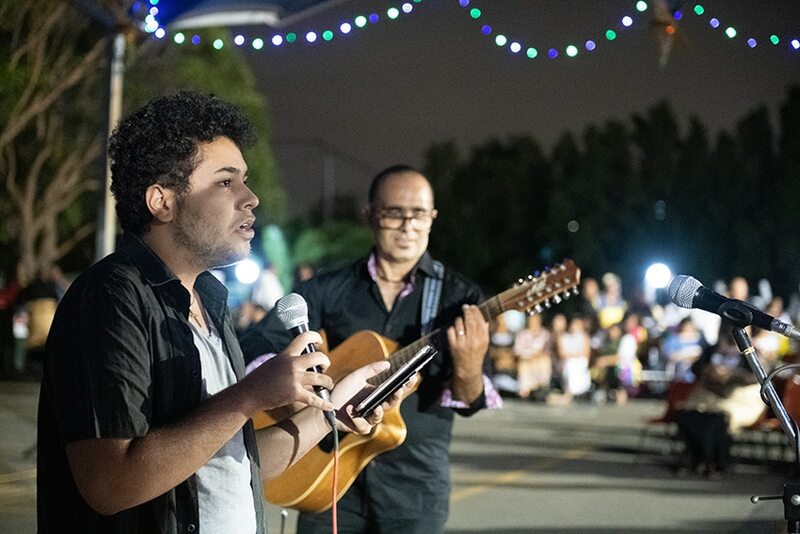 Mass was followed by a multi-cultural feast for around 500 hungry parishioners and guests in the primary school playground. 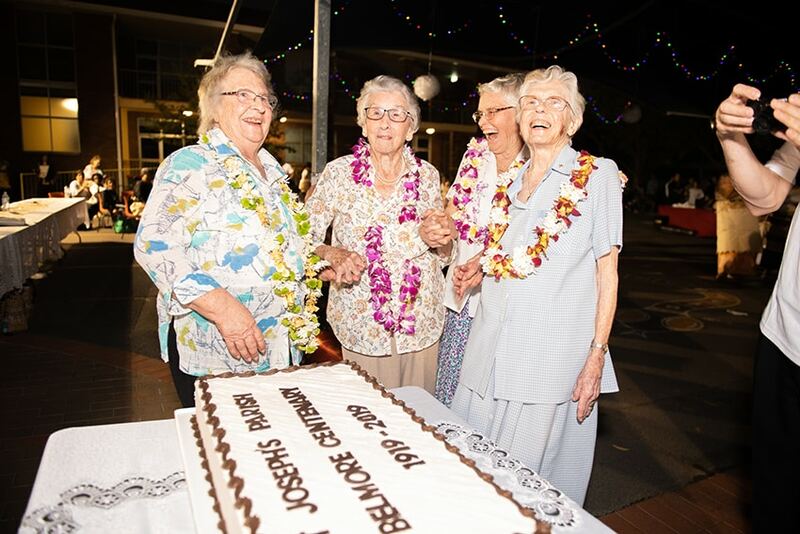 Long-time parishioner Jean Stewart and three Sisters of St Joseph were guests of honour and cut a celebration cake. 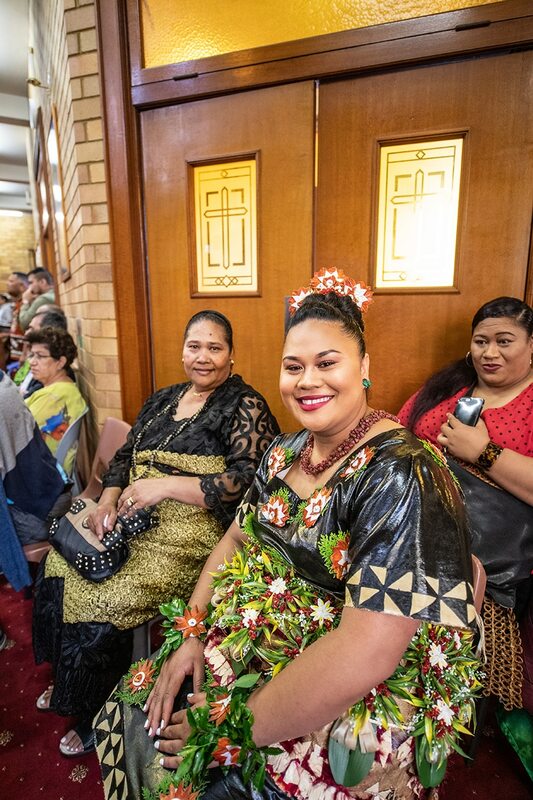 Parishioners then partied the night away with entertainment provided by parishioners including Cook Islands, Tongan and Lebanese traditional music and dancing, other talented performances and a brass band. Chair of the centenary organising committee Frances Stewart said the celebrations were the culmination of 17 months of work which brought the whole community together to plan, organise and fundraise. 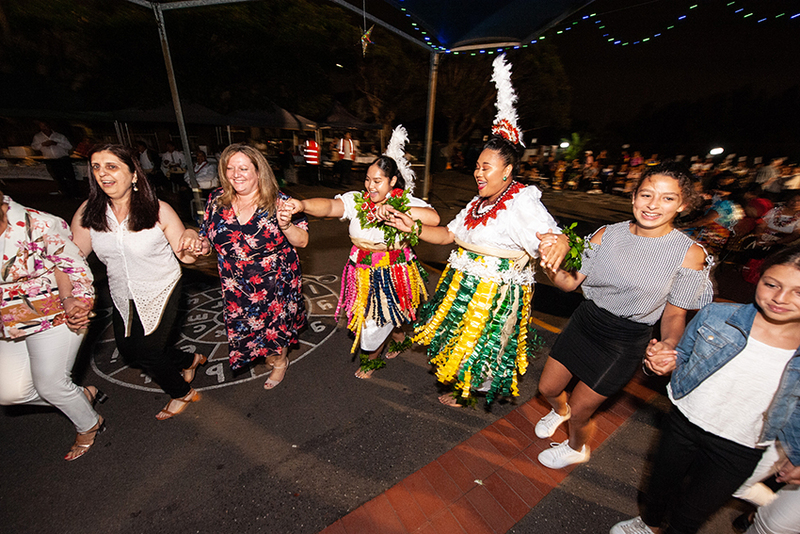 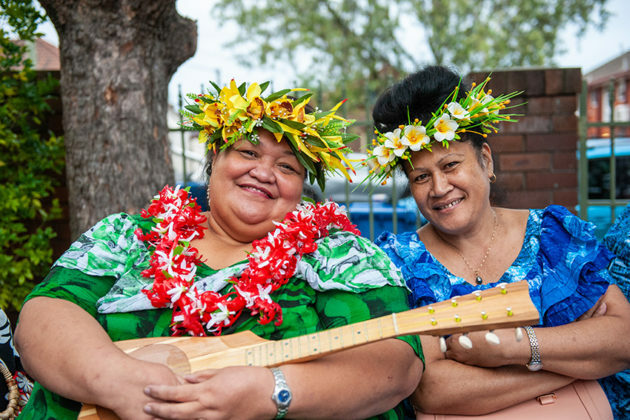 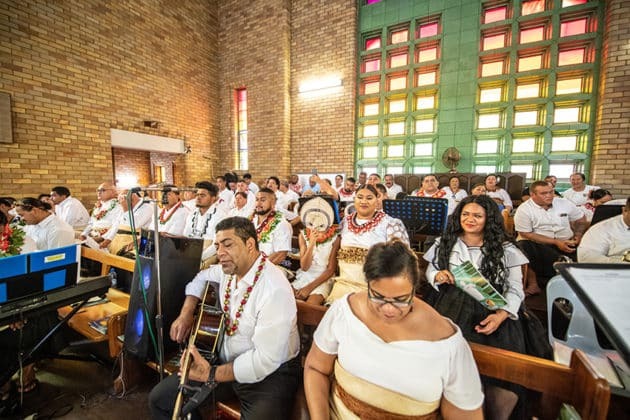 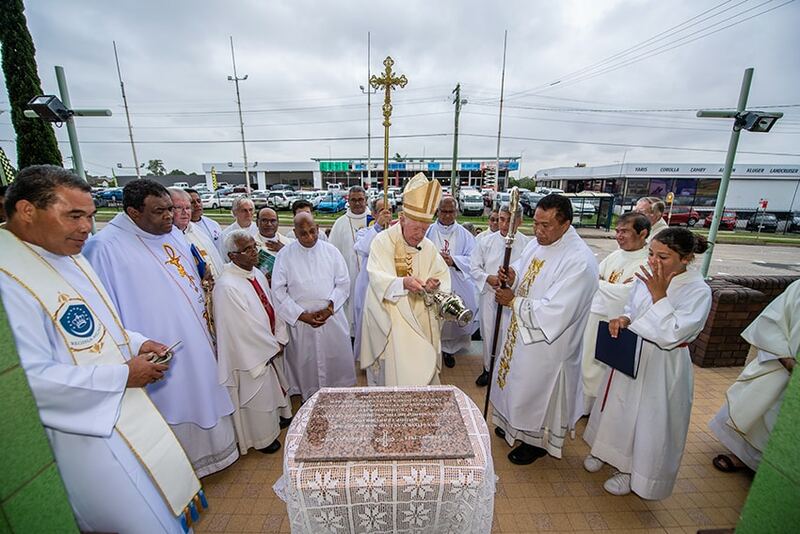 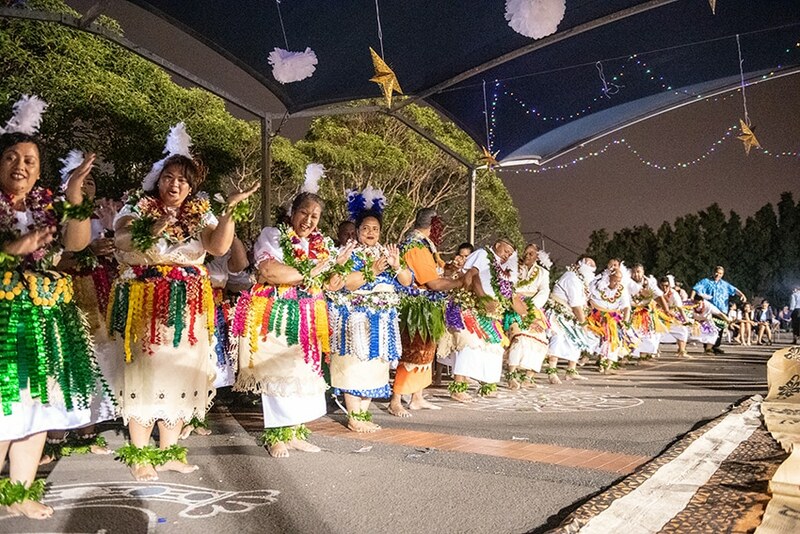 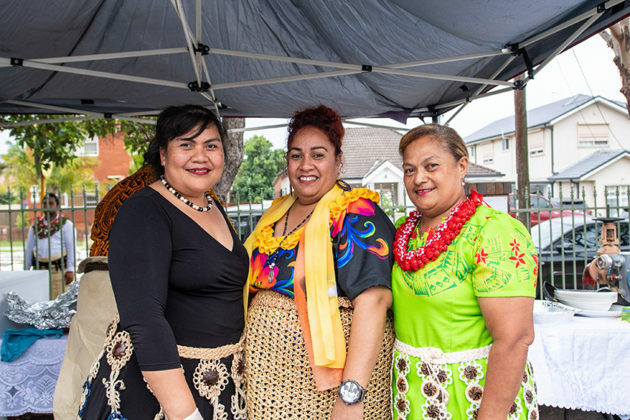 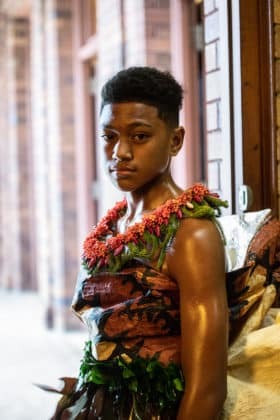 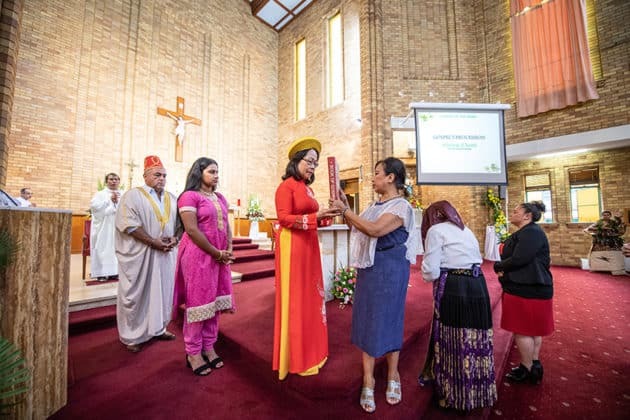 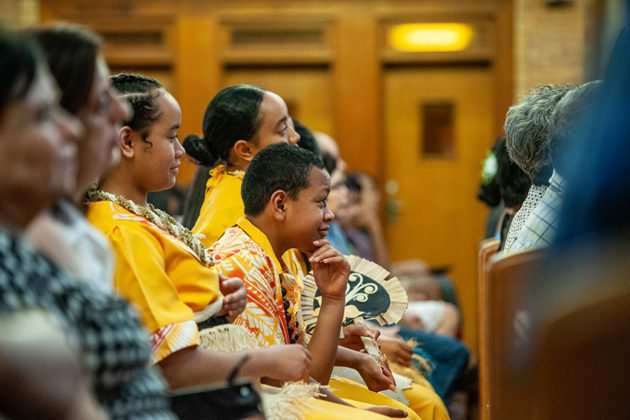 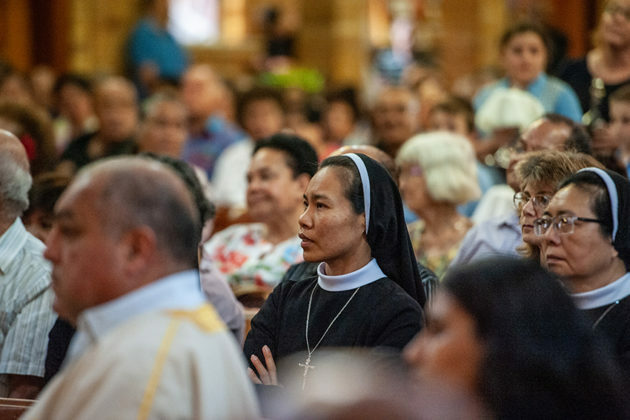 “Belmore has a rich history of multiculturalism and our cultural diversity makes St Joseph’s the parish that it is,” she said, adding that the combined choir from Sydney’s Tongan Catholic Chaplaincy and St Joseph’s was a “magnificent” feature. Members had practiced for months, led by choir ‘maestro’ Fakauo ‘Uhatafe. 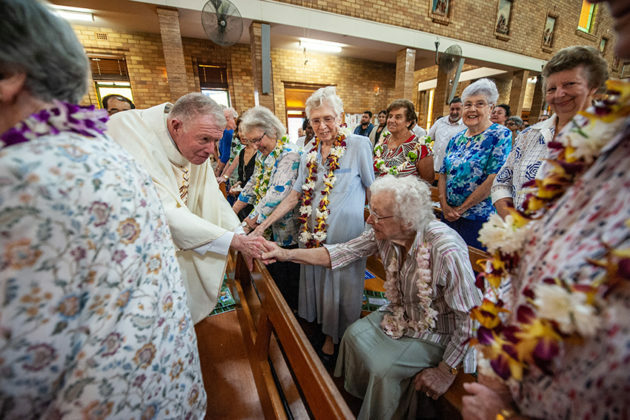 The parish also has strong history of raising vocations to the priesthood and the religious life, and a relationship with the Sisters of St Joseph spanning 84 of its 100 years, she said. 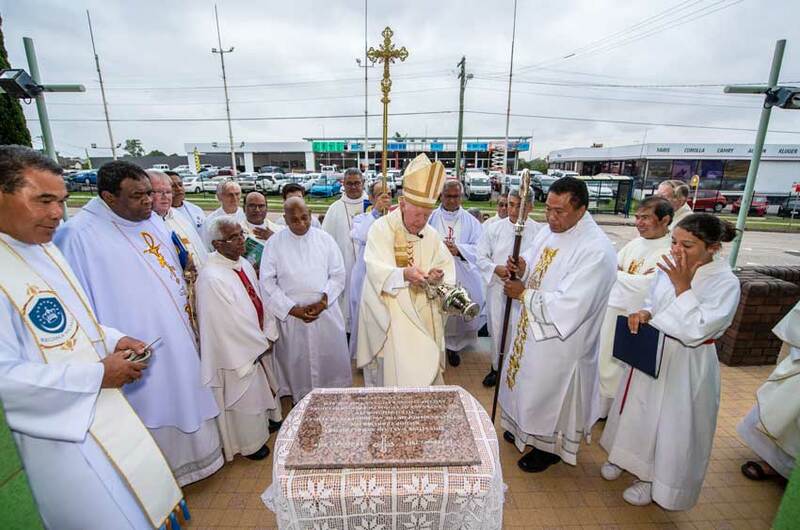 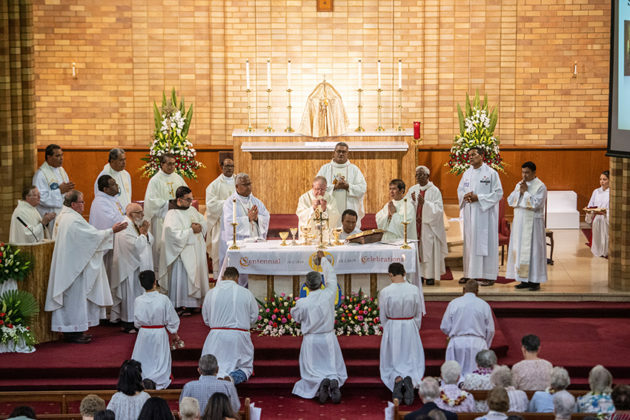 The Mass was concelebrated by visiting cardinal of Tonga, Cardinal Mafi, parish priest Fr Emeni Silito Tupou, Fr Paul Ghanem ofm who was ordained at St Joseph’s, and former parish priests. 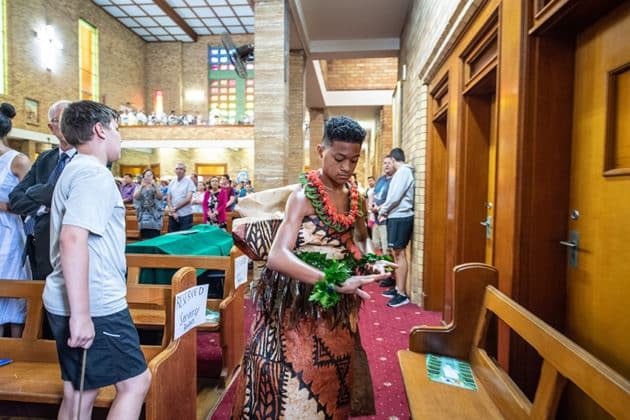 Parishioner Soana Sekope said the rite of consecration during which the altar was anointed with oil and blessed, along with the blessing of the baptismal font, Pascal candle and church walls was “quite uplifting and quite emotional”. 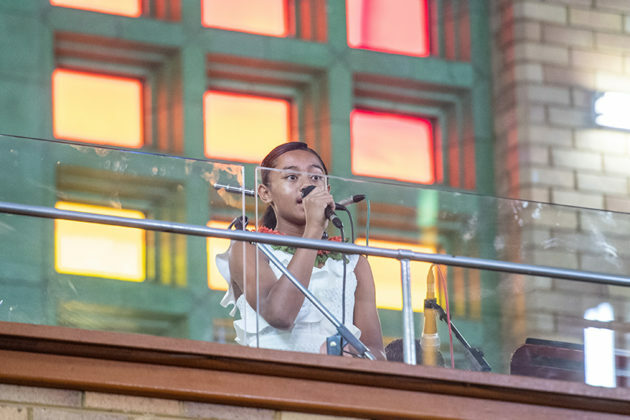 The service ended with the final blessing and recessional to the majestic strains of Handel’s Hallelujah Chorus from Messiah.